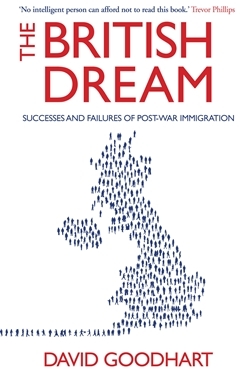 In The British Dream, David Goodhart tells the story of post-war immigration and charts a course for its future. Drawing on hundreds of interviews with people from all over the country and a wealth of statistical evidence, he paints a striking picture of how Britain has been transformed by immigration and examines the progress of its ethnic minorities – projected to be around 25 per cent of the population by the early 2020s. Goodhart concludes that if Britain is to avoid a narrowing of the public realm and sharply segregated cities, as in many parts of the US, its politicians and opinion leaders must do two things. Firstly, as advocated by the centre right, they need to bring immigration down to more moderate and sustainable levels. Secondly, as advocated by the centre left, they need to shape a progressive national story about openness and opportunity – one that captures how people of different traditions are coming together to make the British dream.